Thank you for choosing Big Boss™ Egg Genie™. We are dedicated to your satisfaction and for your convenience, we have provided this Site Map. If you should have any questions or comments, please feel free to visit our Customer Service Page. Thank You! How Many Egg Genies would you like to order? 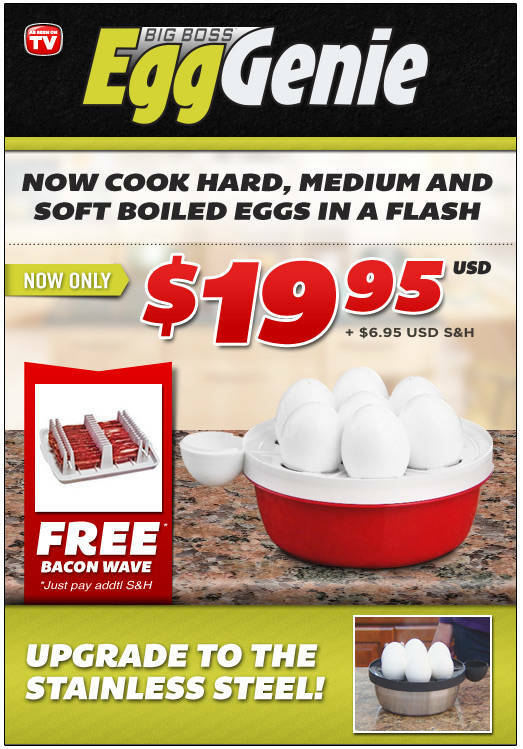 Yes, please send me the Free Bacon Wave and just pay $6.95 USD S&H! 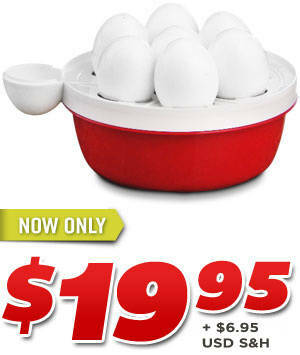 Buy One Big Boss™ Egg Genie™ for $19.95 USD plus $6.95 USD S&H and as a bonus, we will send you a FREE Bacon Wave, just pay an additional $6.95 USD S&H. You will have an opportunity to upgrade to the stainless steel option during checkout. For customer service, please call 855-818-8298 between the hours of 8:00AM - 8:00PM EST. The quickest and easiest way to contact us 24 hours a day is by going to www.customerstatus.com. Please allow 24-48 hours from placing your order until it's updated in our systems. ©2019 Big Boss™ Egg Genie™. All Rights Reserved.